Here's the final recap of my Los Angeles trip. If you missed the first two, you can find them here and here. I had to cover things a little out of order because Sarah (Chalkboard Nails) and I got to spend time with Katie Cazorla on two separate occasions while we were in town. If you're not familiar with Katie, she's a celebrity nail tech, salon owner, entrepreneur, actress, comic, reality TV star, and one of my fave people on the planet. 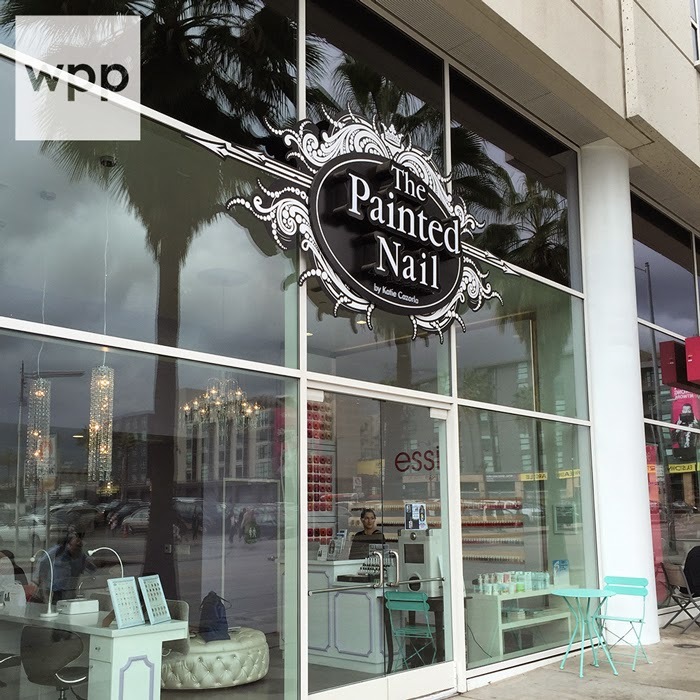 Her new The Painted Nail Salon opened up last Fall in Hollywood at the gorgeous W Hotel. Katie was so generous and had Sarah and me to the salon for mani/pedis (even though it was Oscar night)! The salon is smaller than I expected, but gorgeous with really high ceilings, expensive furnishings, and a complete wall of windows. It's light and fun and has an elegant, exclusive vibe to it. 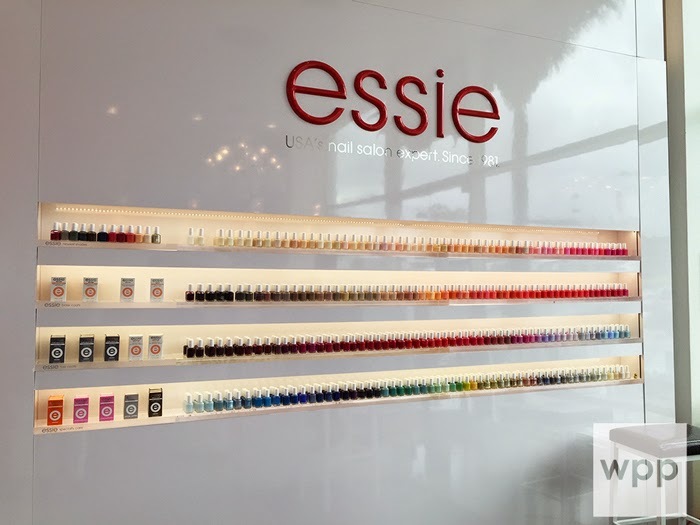 They have the largest Essie installation in the country. It's amazing! It goes from floor to ceiling and holds 750+ bottles of polish. The best part? The service prices were totally in line with what I would pay at a comparable salon in the Midwest (a mani/pedi combo is $75). The manicures are done at a long bar. I've never seen a setup like it. It was very comfortable and is truly a genius idea for saving space. The TV streams The Painted Nail social media mentions in real time, so tag your photos and they'll see you! Don't even get me started on the pedicure chairs by famed interior designer Michele Pelafas. They're works of art! I love that they're sinks and not piped spas (which are difficult to keep sanitized). Everything you can imagine (heated massage chairs, bowls, stands, fabrics, etc.) 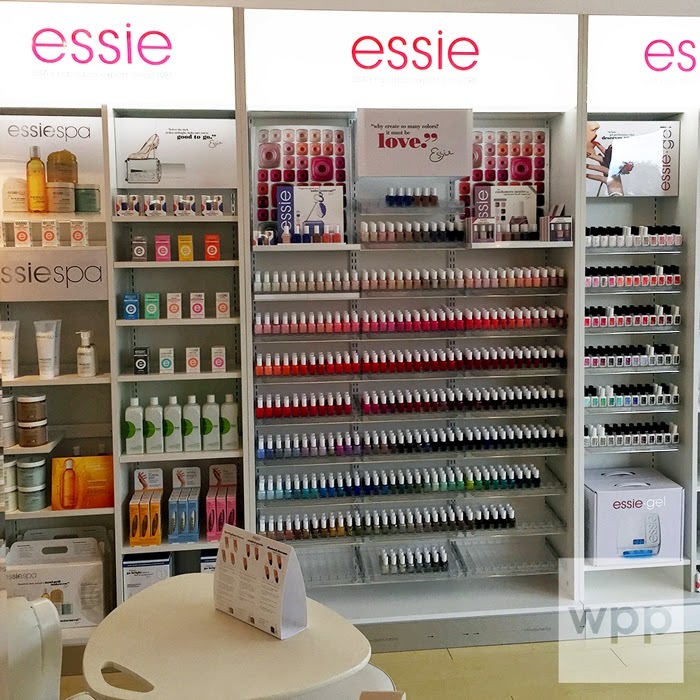 is completely customizable and available through Katie's nail supply store, Everything Nailz (which I'll talk about later in the post). I need one of these chairs for The Mani Cave, am I right? 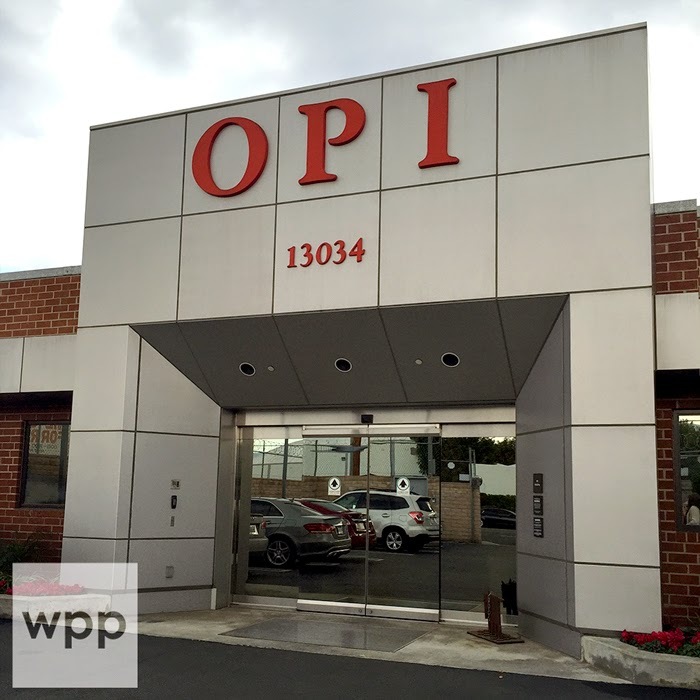 WPP is a toe-free blog so you can see I'm trying to hide my feet in the pic below. LOL. It was cold and raining hard in LA that day so we had to sweater-up. Next up...mani time. Could I just pause to say again how crazy this trip was? Here I am, in THE The Painted Nail, casually getting a manicure next to Chalkboard Nails. Mind blown. I chose Essie Forever Yummy for my mani. Mary Ann was my tech and did a fab job. Plus she was so fun. 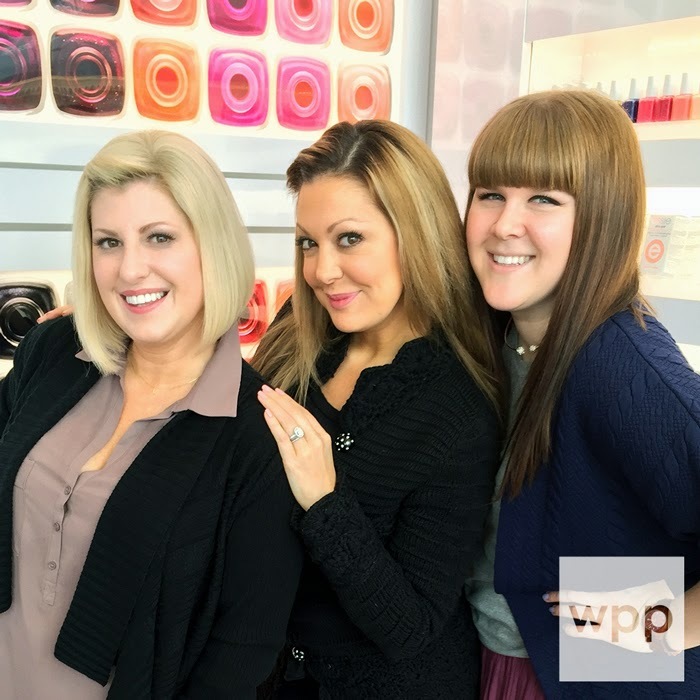 We discovered that we'd actually met in Las Vegas at Cosmoprof North America last July during the Margaritas & Manicures event. Small world! If you're curious, I got Essie Aruba Blue on my toes. Then Katie came to see us. Did you guys watch her reality show when it was on the TV Guide channel? She has so much energy. She just barreled into the salon like Santa Claus! She was sooooo incredibly generous and gave Sarah and me a Steam Off Gel Removal System to try, along with Swatch Strips, Nail Gelli and a bunch of shades from her Color Flash one-step gel line (I featured these before here). I can't wait to try everything out and show you! So that was Oscar night. Sarah and I went to Delphine's in the hotel for appetizers after our appointment. We had to walk through the lobby and they were having a viewing party. Very cool! Then we headed to Sugarfish, a sushi restaurant for dinner (um....awesome!) This was my first authentic sushi experience outside of Dayton, Ohio (not a sushi mecca by any stretch) and I'm a total convert. I've been thinking of that food since we left! We stopped for crepes in Beverly Hills (how very Hollywood of us, right?) and then went back to the hotel to catch the rest of the Oscars. Jump ahead to the next afternoon after our OPI tour (which I covered in yesterday's post) and we met Katie at Everything Nailz, her new nail supply/salon in Studio City. 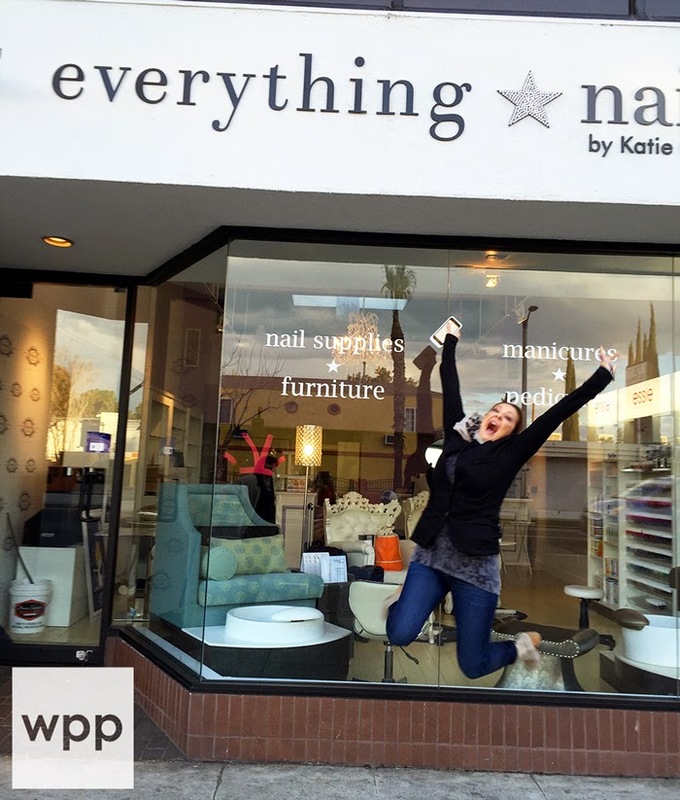 Here's Katie showing us how excited she is about her new shop which opens March 1st! She's such a goofball but I love her for it! The store is a fantastic idea. How many of you have been to traditional beauty supply stores? They're old and dingy and dusty and it's difficult to see the product. 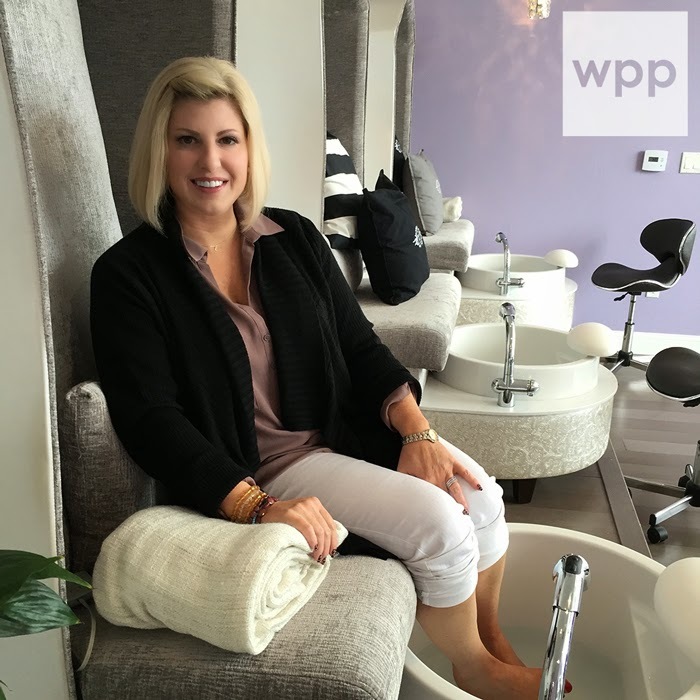 Katie's vision was to have a high-end retail store that in addition to carrying the products pros need, it would also offer classroom training and manis/pedis. They're putting the final touches on the store now. It's going to be gorgeous. 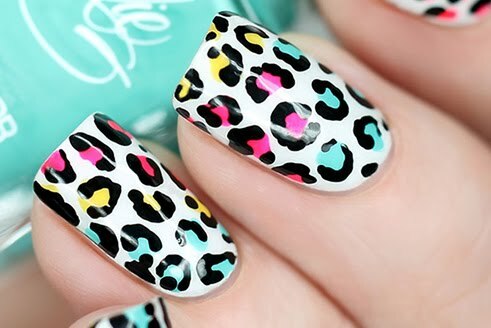 Her main lines are Essie, Dashing Diva, ENP, and of course, The Painted Nail. 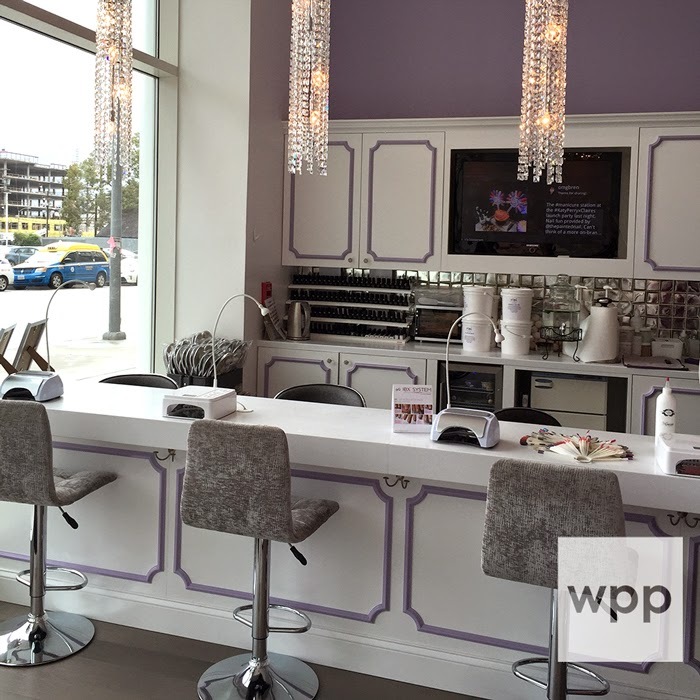 She'll also be a retailer for Michele Pelafas salon furnishings which I mentioned earlier. I'm so excited about these chairs because they aren't those ginormous gawdy thrones you see in the mall. They're actually more affordable than those things too...so if you're opening a salon, I would definitely look into it! 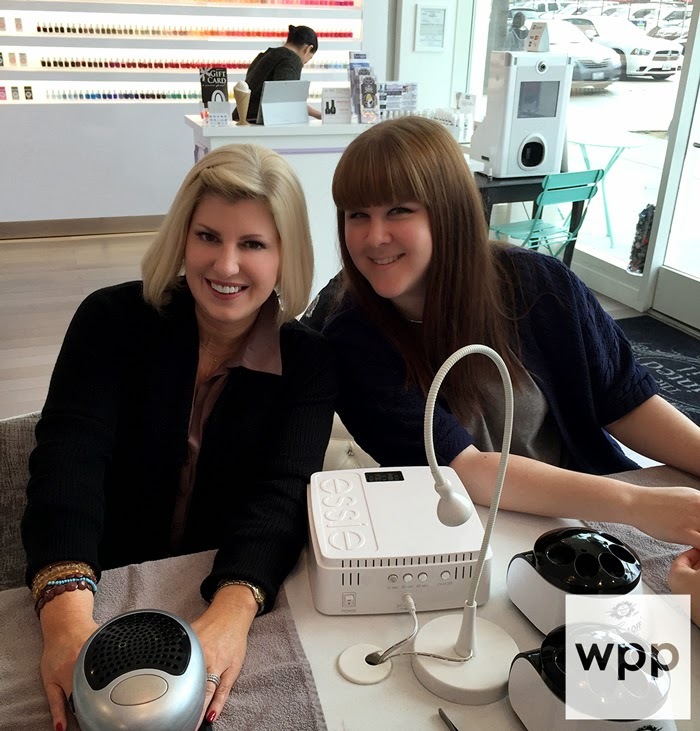 After our tour of the store, Katie took us to her office and demo'd the Steam Off Gel Removal System for us! How often do you get to see the product's namesake show you how it's done?! She belongs on QVC STAT! This is my first shot at video editing so bear with me. Katie does a great demonstration of the product. I can't wait to try it! The fun didn't end there. Katie took us to dinner at a new barbecue restaurant called Barrel & Ashes across the street where we had our second celebrity sighting, Simon Rex, from Scary Movie. (I had to google him...LOL.) The food was amaze-balls (and I never say that word). 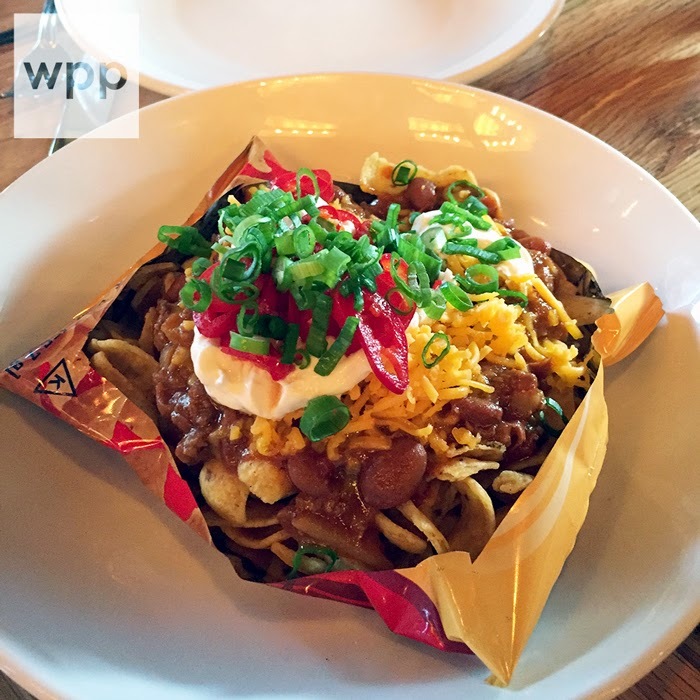 Two words - Frito Pie...all I need to say. Katie, thank you soooo much for your hospitality. You rock! 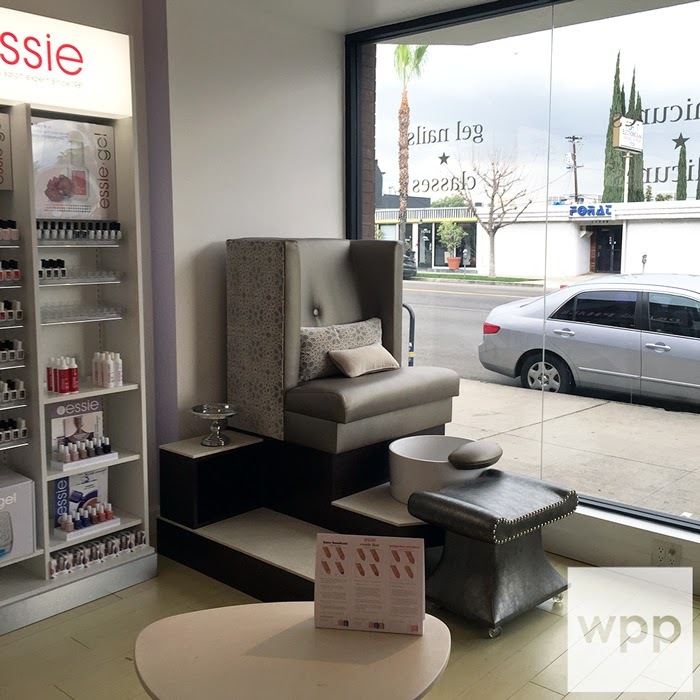 Readers, if you're ever in LA, be sure to book mani/pedis at The Painted Nail. And check out Everything Nailz to purchase the Steam Off and lots of other great products (a license is not required to purchase most products). The website is live now and a few items are available for purchase online already. 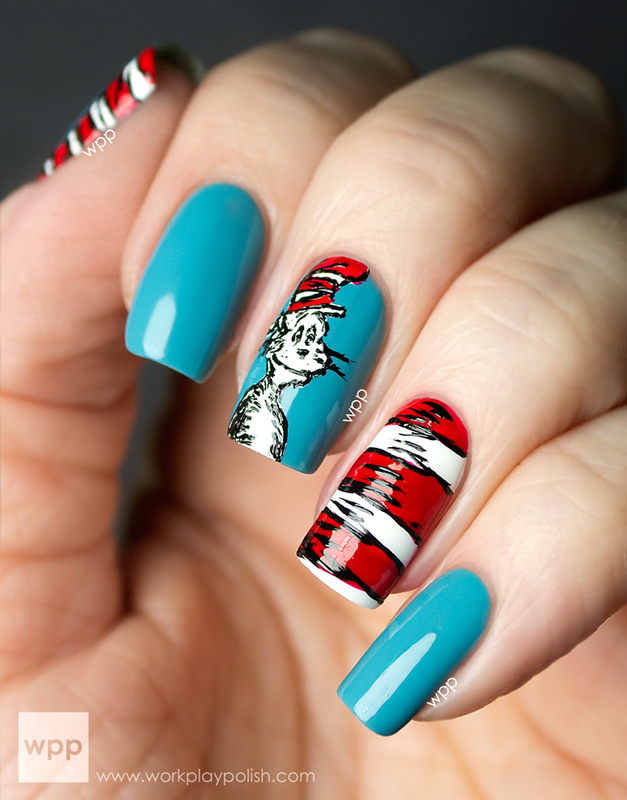 Follow The Painted Nail on Facebook, Twitter and Instagram too!